Majestic mountains, towering redwood trees and glittering glaciers—America’s national parks have a wealth of wonders to offer visitors. In turn, these natural treasures and historic sites do a world of good for our country’s health, economy and image abroad. 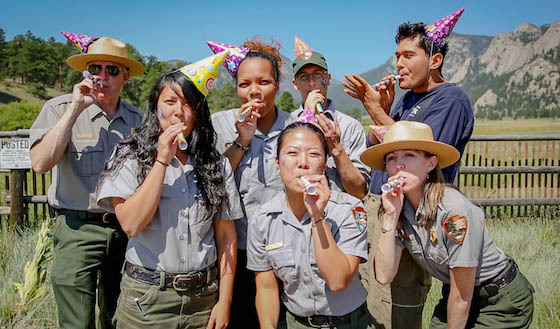 National parks wouldn’t be what they are without the U.S. National Park Service, which turns 100 years old on August 25. Learn more about the NPS centennial, and how you can get involved, with our toolkit full of resources, social media guides and sample shareable graphics (like these). Still need convincing? Here are 10 reasons a century of national parks is worth celebrating. 1. National parks are a great place to spend quality time with the people you love. Taking time off from work to reconnect with your friends and family is good for everyone. National parks provide a great natural escape (and enough outdoor fun to keep your kids too busy for backseat battles). 2. National parks are truly for everyone. All are welcome at U.S. national parks—no ifs, ands, buts or expensive membership fees. Plus, pets are welcome at most parks, so you truly can bring the entire family. 3. National parks will beautify your social media channels. Join the #FindYourPark conversation on Twitter, Facebook and Instagram to spread the word about the many benefits of our national parks. From hosting a Find Your Park event in your hometown to sharing photos on social media, there are dozens of ways to get involved. No offense to Hollywood, but taking in the night sky at some of these national parks is the best way to see the stars. 5. It’s an education outside of the classroom. U.S. Travel is a proud partner of Every Kid in a Park, an NPS program created so American fourth-graders and their families can discover the wildlife, history and natural beauty in all U.S. national parks for free. Encourage students or friends, family and colleagues with fourth-graders to go online and get their free pass. 6. Anyone can meet his/her match. Whether you prefer desert sun, rugged mountain terrain or steamy swampland, there’s a national park for every taste and type. 7. Adventure is out there. Mountaineering, hiking, kayaking, rafting and more: U.S. national parks offer an amazing variety of outdoor adventures. (Dancing counts, too.) Get inspired by watching the “National Parks Adventure” film in a theater near you. 8. 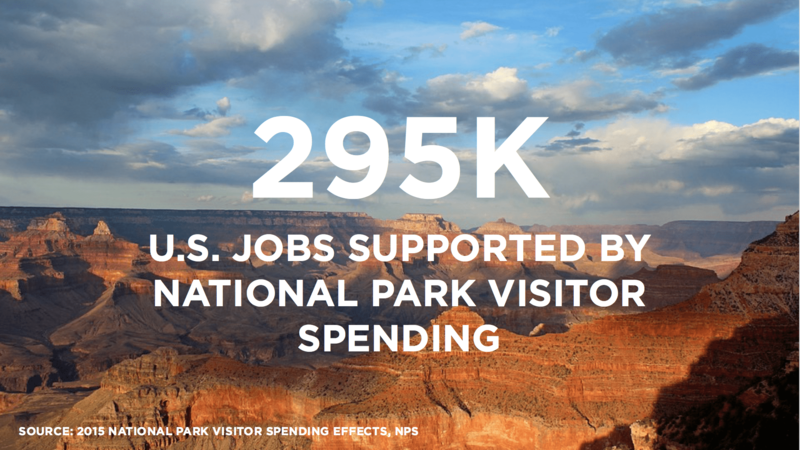 The NPS contributes to the economy and creates good American jobs. 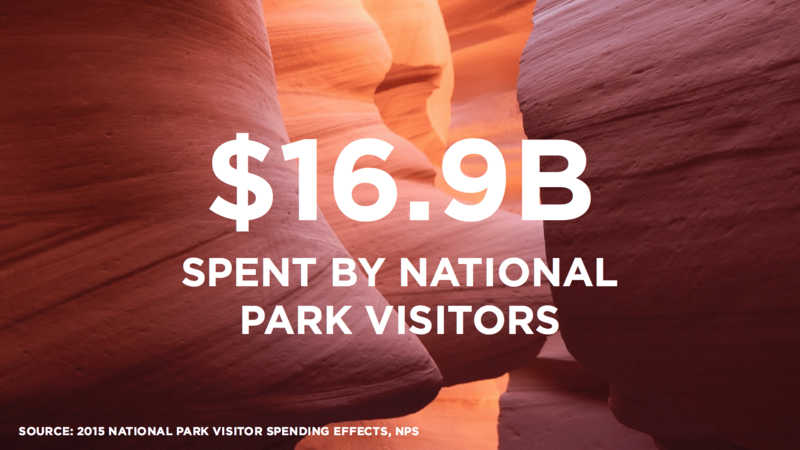 Spending by visitors to U.S. national parks created 295,000 jobs and generated $32 billion in economic output last year. Even if you aren’t the outdoorsy type, those kinds of numbers are worth celebrating. 9. America’s “best idea” is part of our heritage. A century ago, President Woodrow Wilson signed the legislation creating the National Park Service, which was established to protect our public lands and preserve our country’s most beautiful places. It was a uniquely American idea. The foresight of our country’s greatest conservationists allows each of us the opportunity to visit the past, explore today and pass them to future generations. 10. National park getaways are a great excuse to make s’mores. Put in that vacation request, secure a campsite, and revisit the simple joy of hot, gooey marshmallows and chocolate on a graham cracker. National parks are worth keeping around for another 100+ years—and anyone can help do that. Find more ways to celebrate here.